Falun Gong practitioners in the Czech Republic and nearby countries held a rally and parade in Prague on September 2, 2017. 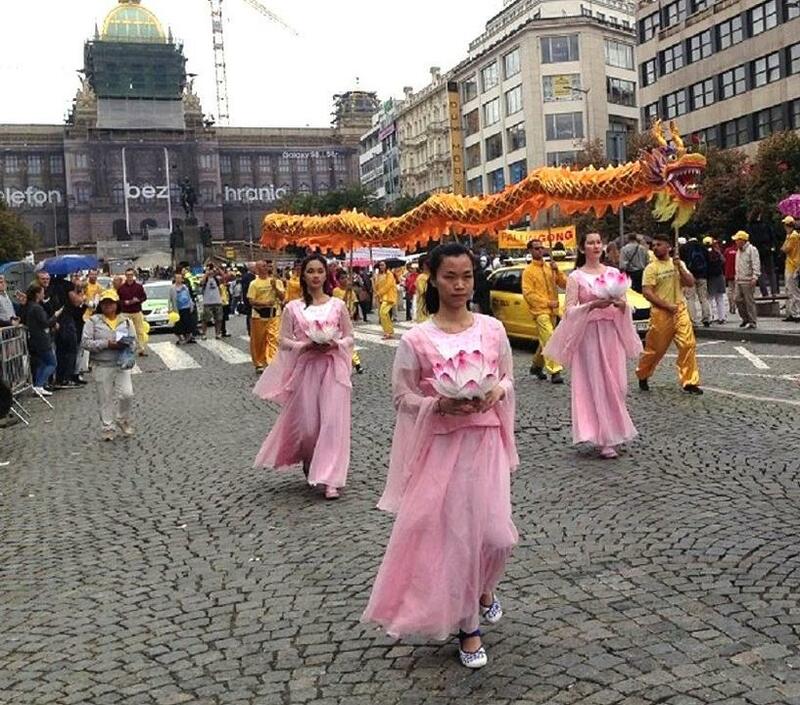 The activities aimed to introduce the health benefits of the spiritual discipline to the public and raise awareness of the 18-year-long persecution of the practice in China. The procession started off from Wenceslas Square (Vaclavske namesti) and followed a route covering the busiest and most tourist-frequented streets. The event attracted many spectators, as well as much media attention. Besides ČT24, Czech News Agency (CTK), Blesk.cz, Týden.cz, and Religious Infoservice (NÁBOŽENSKÝ INFOSERVIS) reported the grand event in the capitol, including many photos. A media report stated that the parade, including Tian Guo Marching Band, embarked from Wenceslas Square and proceeded through the busiest sections of central Prague. The practitioners wanted to raise the awareness of the illegal organ harvesting from living Falun Gong practitioners in China, and were asking people to support them, and help end the persecution as well as the illicit organ trade in China. 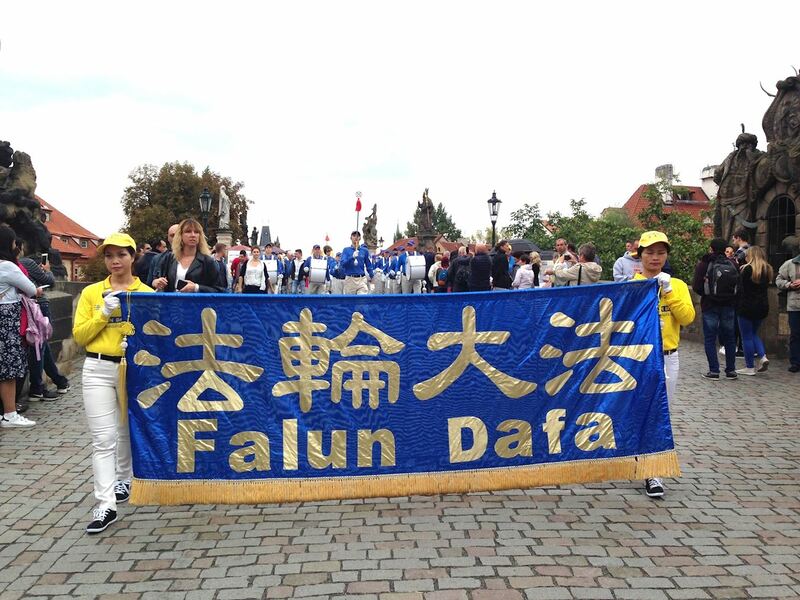 The report also mentioned that the parade included practitioners dancing as well as demonstrating the Falun Gong exercises. Many locals and tourists watched and took videos of the event. 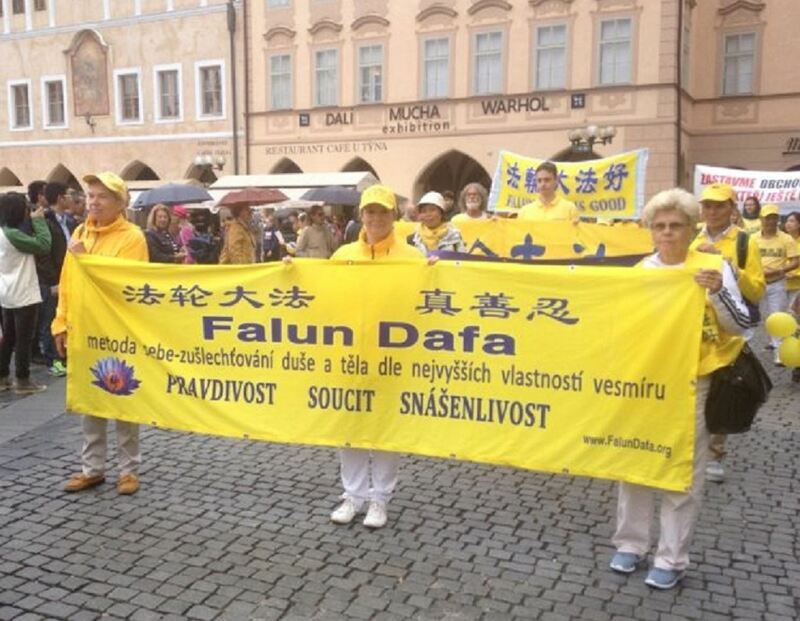 The report introduced Falun Gong as having slow and energetic exercises, with central values of Truthfulness, Compassion, and Forbearance. It is practised by people in over 100 countries and areas in the world, and was initially supported by the Chinese government. However its members have been persecuted in China since 1999. 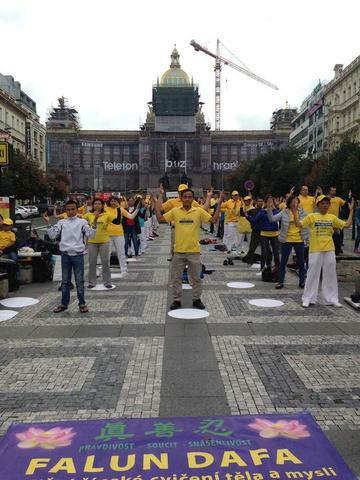 Many people were drawn to the scene where the practitioners were demonstrating the exercises at Wenceslas Square. They learned how the practice was welcomed around the world, yet its practitioners were brutally persecuted in China. After learning how practitioners in China were tortured and incarcerated for their faith, and how their organs were removed against their will, many were saddened and quickly signed the petition demanding to end the persecution. Leading the parade was the Tian Guo Marching Band. Its majestic music drew the crowds out of shops and restaurants along the streets. 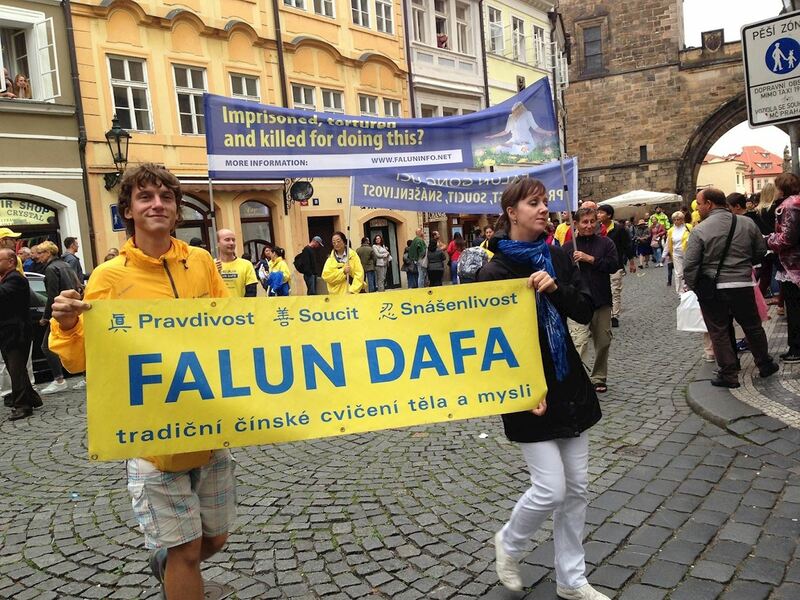 Many cheered for Falun Gong. One practitioner explained to a Chinese tourist that many westerners love traditional Chinese culture and chose to practice Falun Gong, which was why many westerners were in the parade and band. The practice is welcomed in most countries around the world. 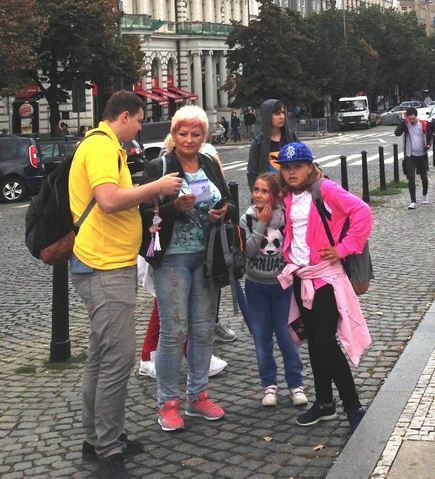 The practitioner suggested that the Chinese tourist learn more about the practice and not be fooled by the Chinese government’s propaganda, which slanders the practice. Many Chinese who understood why the persecution was wrong immediately quit the Chinese Communist Party and its affiliates to severe ties with the crimes committed by the Party. Some who quit the CCP thanked the practitioners for helping them make the right choice and do the right thing.